PITTSBURGH (August 31, 2017) … Although it may not fit the traditional definition, acoustic noise is a form of pollution because of its negative impact on human health. Indoor-generated noise is especially a problem in the workplace, where noise can cause minor distractions or even mental stress. Thanks to an award from the National Science Foundation (NSF), researchers at the University of Pittsburgh are exploring fundamental new research that may lead to new sound barriers that mitigate acoustic noise. 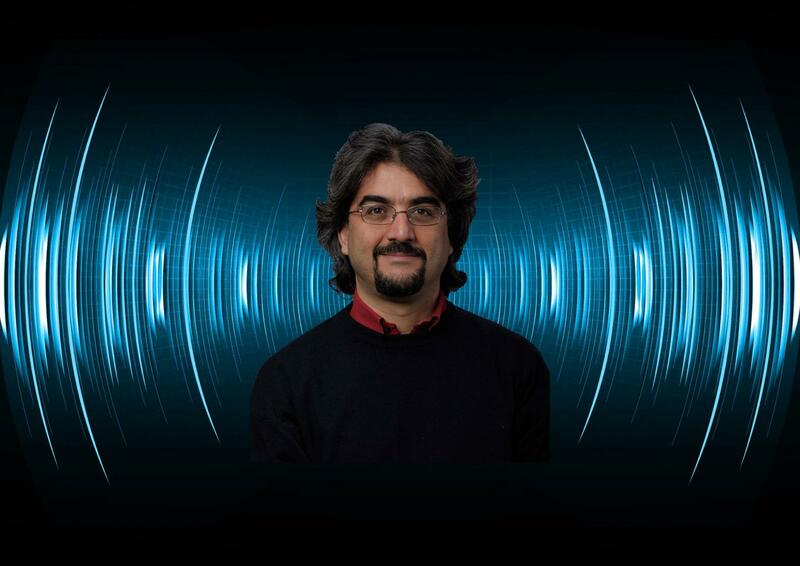 Piervincenzo (Piero) Rizzo, associate professor of civil and environmental engineering at the Pitt's Swanson School of Engineering, is principal investigator for a two-year, $200,000 NSF-EAGER grant for the project "EAGER: Acoustic Diode as Architectural Material (ADAM)." EAGER awards supports exploratory work in its early stages on untested, but potentially transformative, research ideas or approaches. "Engineers and architects strive to create effective and fine solutions to mitigate indoor- and outdoor- generated noise in order to enhance the comfort of the occupants, improve personnel efficiency in the workplace, guarantee privacy, and to provide distraction-free spaces. However, traditional building materials have limits, whether structurally or economically," Dr. Rizzo said. "Through this award we'll explore a new architectural system based on the concept of acoustic diodes acting as a sound barrier that impedes unwanted noise in an environment." According to Dr. Rizzo, acoustic diodes offer low resistance to sound in one direction and high resistance in the opposite direction, which cancels out sound transmission along one direction. His hypothesis is that a diode, embedded in novel architectural material, can be scaled at multiple lengths to shield indoor noise and eventually transit-generated noise. "Our research will explore "trapping" acoustic noise in building materials via acoustic diodes, where they would reflect and decay," Dr. Rizzo said. "By integrating several disciplines including acoustics, nonlinear dynamics, and architectural engineering, we hope to determine the feasibility of this potential technology." Dr. Rizzo's academic and professional interests include nondestructive testing/evaluation, structural health monitoring, signal processing and automatic pattern recognition for real-time prognosis of structural and biological materials, and implementation of embedded sensor network for the health monitoring of civil, mechanical and aerospace structures. Current research is focused on the development of guided wave-based SHM methodologies for pipes, and the investigation of highly-nonlinear solitary waves for the noninvasive assessment of structural and biomaterials including structural buckling. In 2015 the International Workshop on Structural Health Monitoring recognized him as the Structural Health Monitoring Person of the Year. In 2016 he received the Chancellor's Distinguished Research Junior Scholar Award, the Pitt's most esteemed award given to young faculty. Dr. Rizzo earned his laurea (MS) in aeronautical engineering from the University of Palermo, Italy, and his master's and PhD in structural engineering from the University of California – San Diego. Founded in 1867, the Civil and Environmental Engineering program at the University of Pittsburgh's Swanson School of Engineering is one of the oldest engineering programs in the U.S. Civil engineering students at Pitt have the opportunity to engage in undergraduate and graduate programs in a broad range of topics, including environmental engineering and water resources, geotechnical and pavements, structural engineering and mechanics, and sustainability and green design.